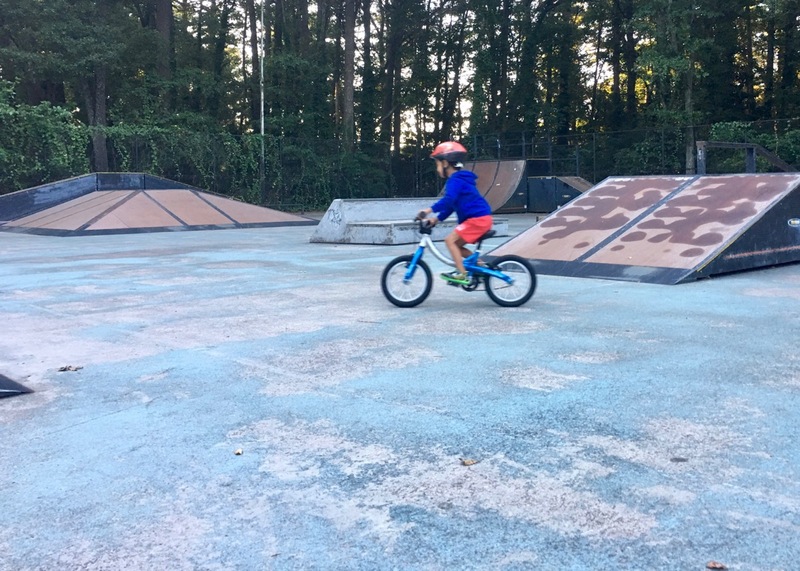 By now, most parents are hip to the concept of starting young kids on balance bikes — basically tiny bikes without pedals — to get them comfortable riding two-wheel bikes. But then what? 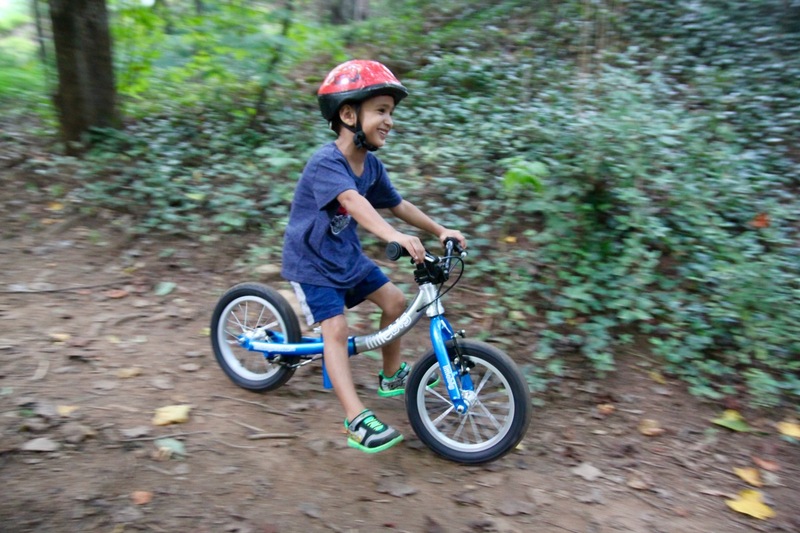 Transitioning a child to a pedal bike can be tricky in a lot of ways, which is one of the reasons the Little Big Bike was invented. 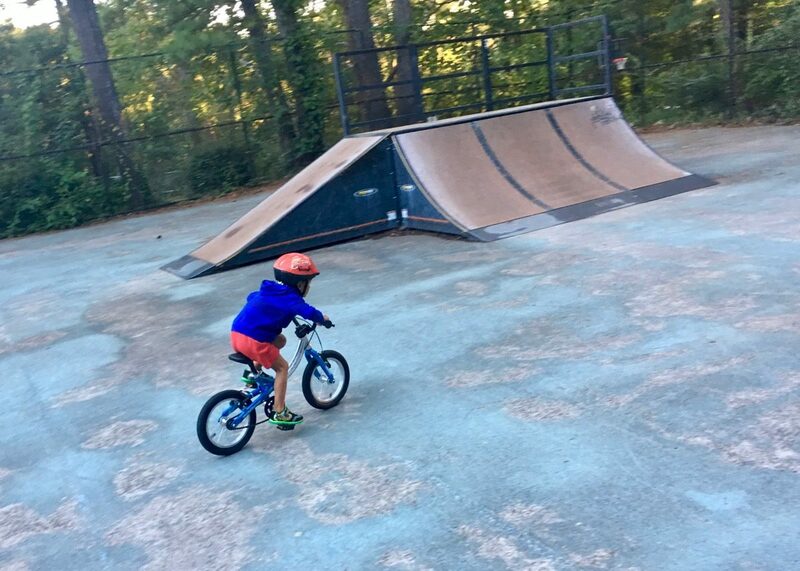 My 4-year-old son Reed has been testing the high-quality Little Big Bike for a few weeks now, and I’m truly amazed at how quickly he’s progressed into a confident pedaler. Kids’ bikes aren’t generally known for their high quality because, let’s face it: they’re meant to be disposable. However, because the Little Big Bike is designed to be ridden by kids starting at age 2 and going all the way up to age 7, it’s built to be durable and easy to maintain for years. The frame is made from 6061-T6 aluminum tubing, and the quality of the construction is evident right away. 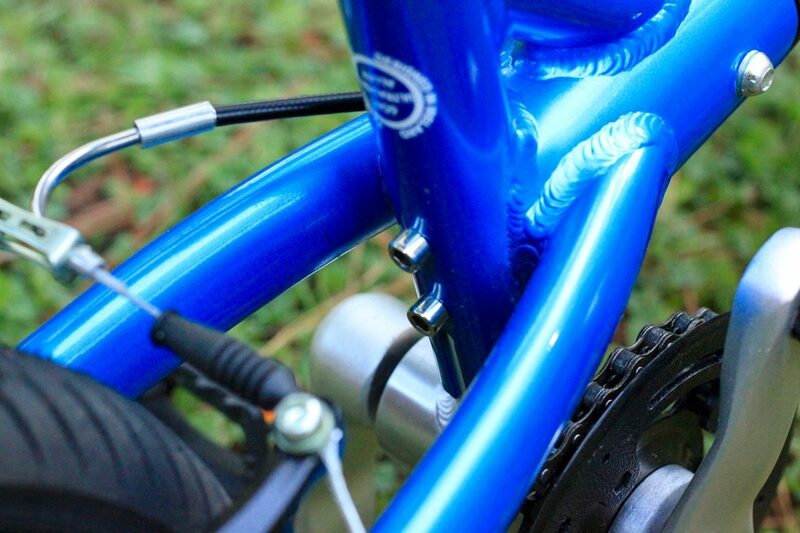 Even the rear brake cable gets internal routing for a clean look. 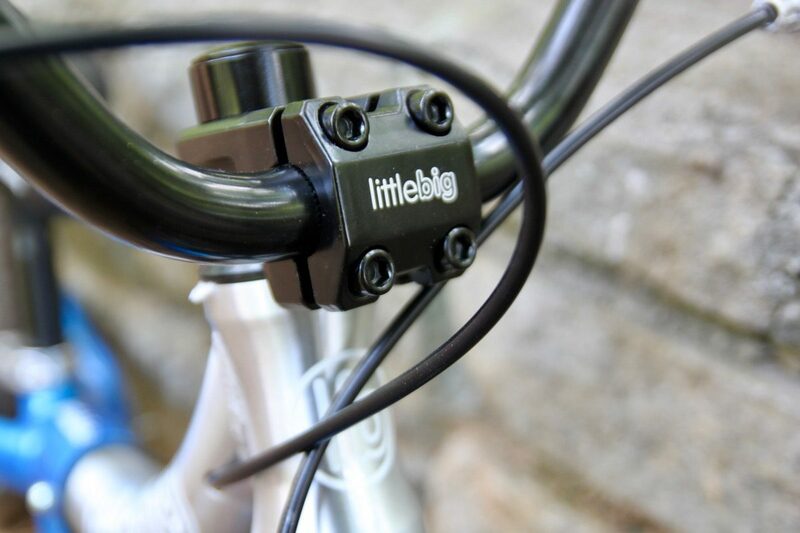 Little Big utilizes real components throughout the bike, from the forged aluminum BMX stem to the smooth V-brakes front and rear. 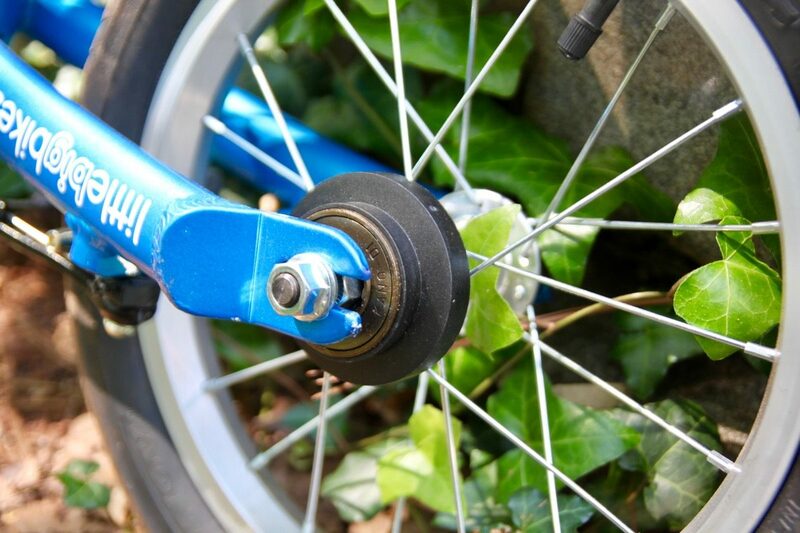 If you’ve ever worked on a low quality child’s bike before, you know how frustrating it can be to replace parts or make repairs. The Little Big bike makes few compromises, and I’ve enjoyed turning every nut and bolt. Speaking of turning bolts, Little Big includes all the tools you need to work on the bike, right in the box. Basically, only a couple standard allen keys and a multi-sided cone wrench are required to make all the adjustments. 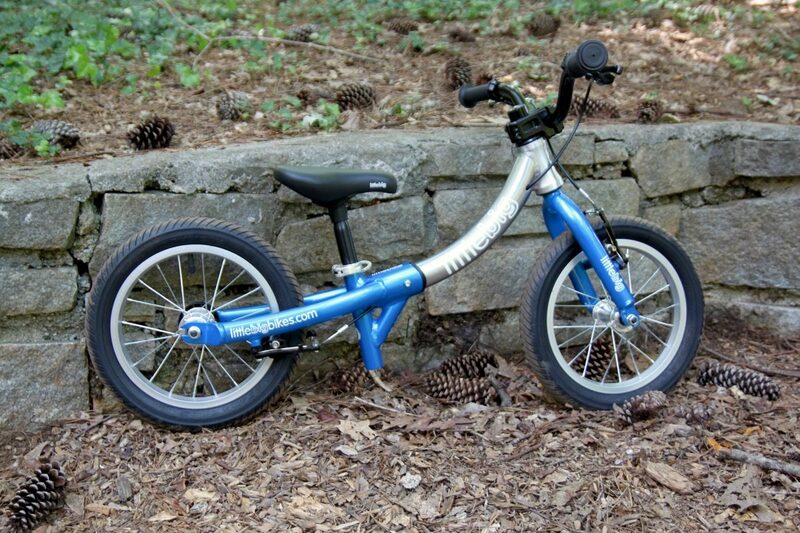 The Little Big bike has three modes: balance bike, taller/longer balance bike, and pedal bike. Directly out of the box the bike is configured in balance bike mode. The brakes are already set up, the only thing to do is to install the seatpost (saddle attached) and mount the bars to the stem. Little Big recommends this starting configuration for children ages 2 to 3. 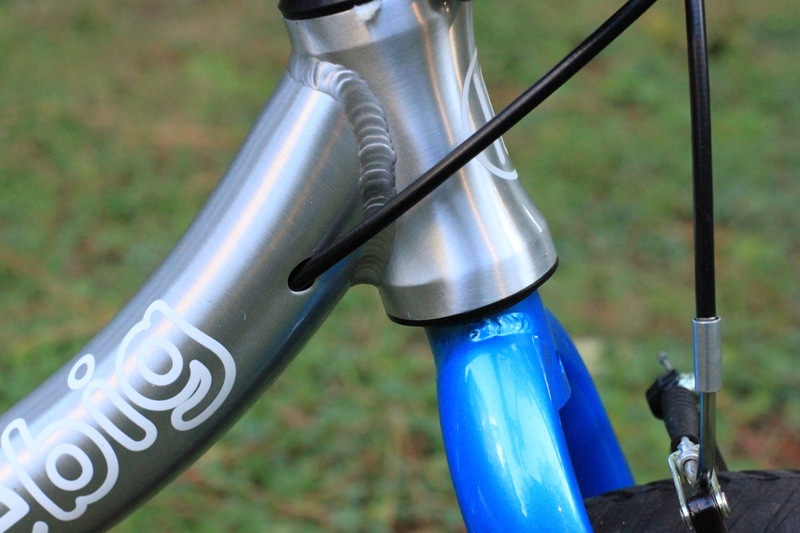 Check out the high-quality finishes on this bike. Pull the bolt shown in the lower right of the image to flip the back end, and you’ve got a big bike! Also note the attention to detail: the bike says “Big Bike” in big position, “Little Bike” when it’s flipped the other way. 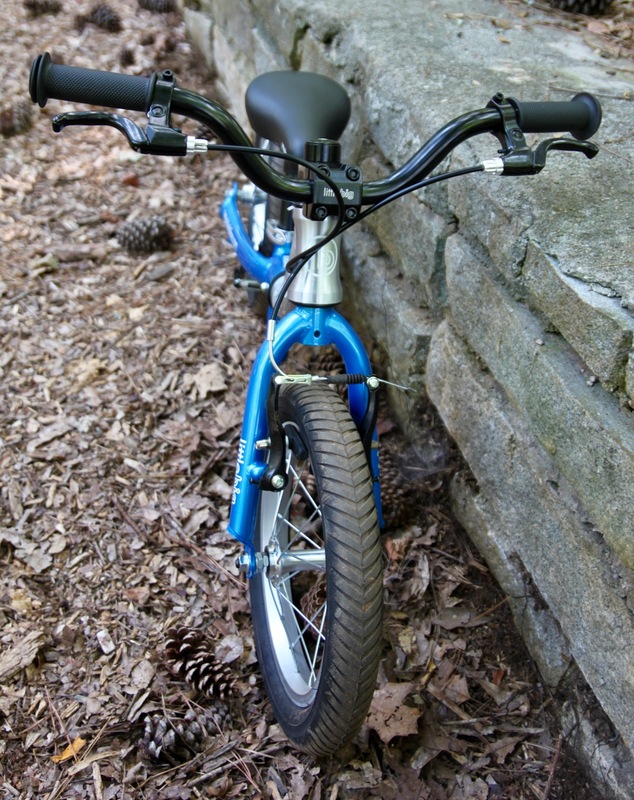 As the child grows, the rear end of the bike can be flipped to make the bike both taller and longer. Just remove the bolts tying the two ends of the frame together and rotate the rear end of the frame. Re-insert the bolts, tighten, and move the seatpost to the top of the bike. Done! This is where the internally-routed rear brake cable is clutch, because it means you don’t have to re-route anything. I did notice the brake was a little tight and rubbing slightly after flipping the frame, but since I’m such an ace bike mechanic (not) I was able to make the necessary adjustments. In balance mode, a plastic cap covers the rear cog to keep riders safe. 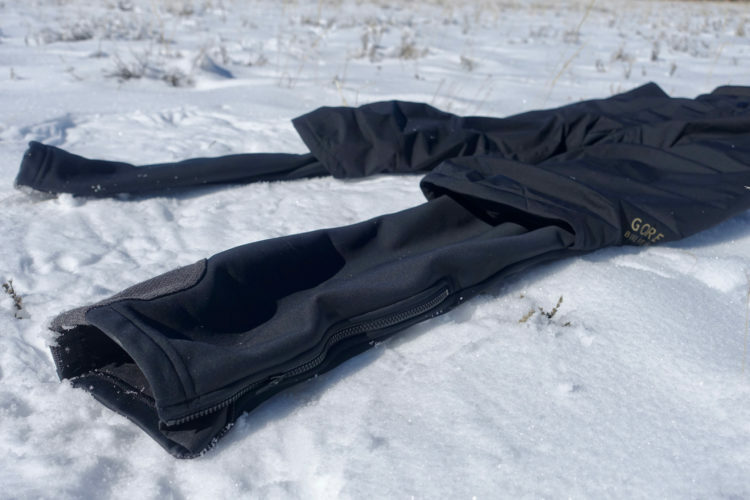 Finally, once kids are ready to transition to pedaling — generally around age 5 — an included crank system can be installed on the bottom end of the seat tube. 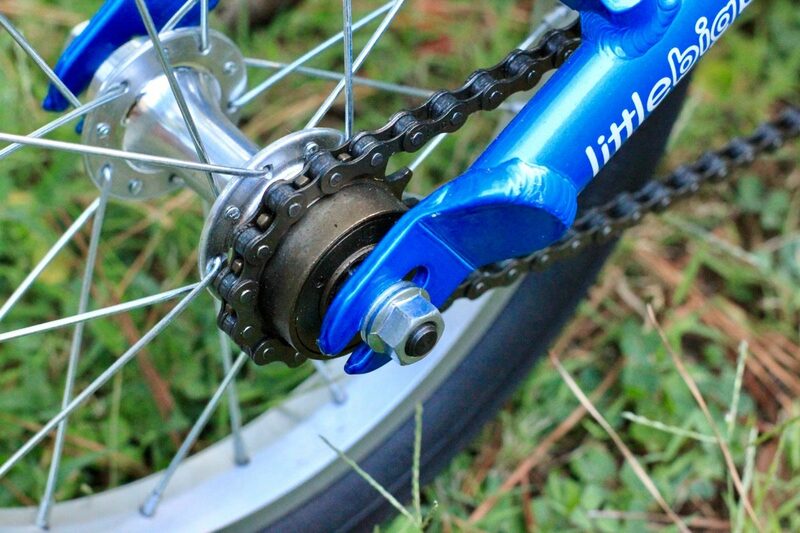 Again, Little Big found a simple solution — just a couple bolts — to lock the crank in place. The cog in the rear has a protective cover on it that is easily removed once the wheel is pulled out of the frame. Slip the included chain (already looped and set to the correct length) over the front chainring and rear cog, pull the rear wheel back to get good tension on the chain, and bolt the rear wheel in place. 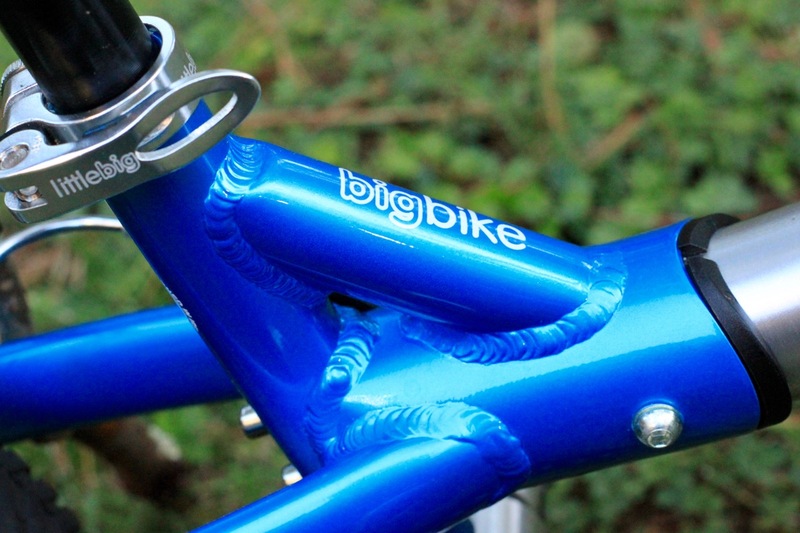 The two bolts on the lower end of the seat tube hold the crank mechanism in place. The Little Big bike is a bit heavier than I thought it would be, and certainly heavier than most of the basic balance bikes on the market. 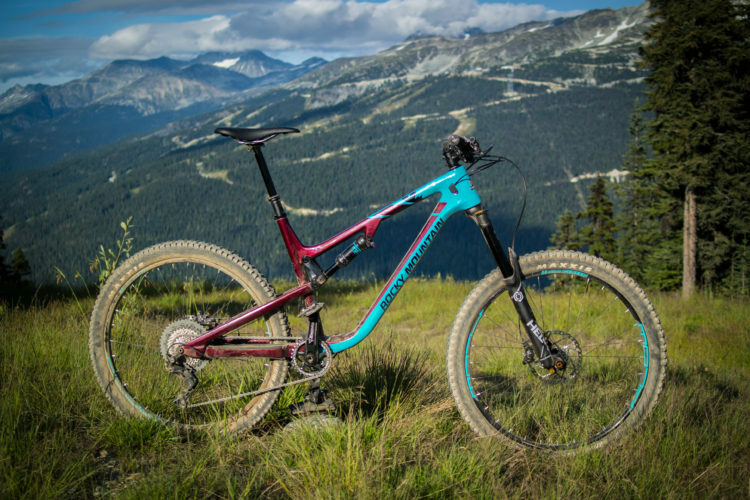 In balance mode, the bike weighs a little over 11 pounds and with a drivetrain, the weight is north of 14 pounds. My son Reed doesn’t seem to mind the weight — he’s not getting the bike in the air just yet — but I have to say lugging the bike around is a little uncomfortable for Dad. Reed started riding a different balance bike right around the time he turned 2 years old. 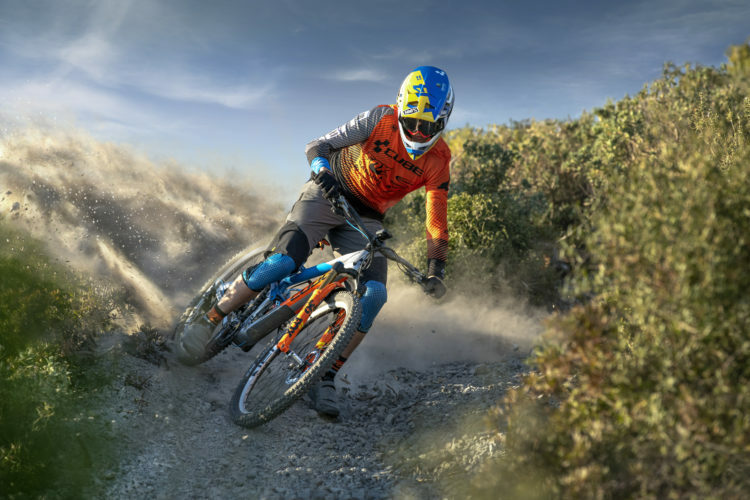 After several months of riding, he gained the confidence to go down bigger and bigger hills. In the beginning this wasn’t a problem, though he did wear through the toes on his shoes to slow himself down. But then he stopped bothering to slow down, which gave Leah a heart attack every time he blasted down the pavement. After a while, Reed was banned from the bike because there was no good way for him to slow down. We shoulda bought a Little Big. 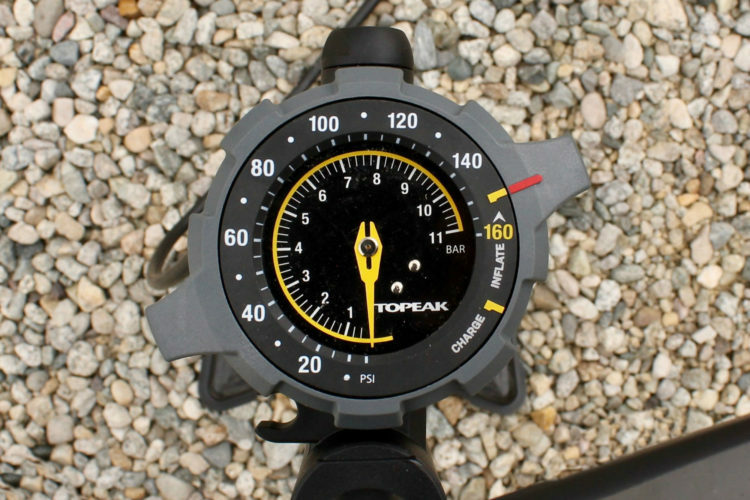 In little balance mode (and all modes, for that matter), the Little Big bike features two hand brakes for maximum stopping power. 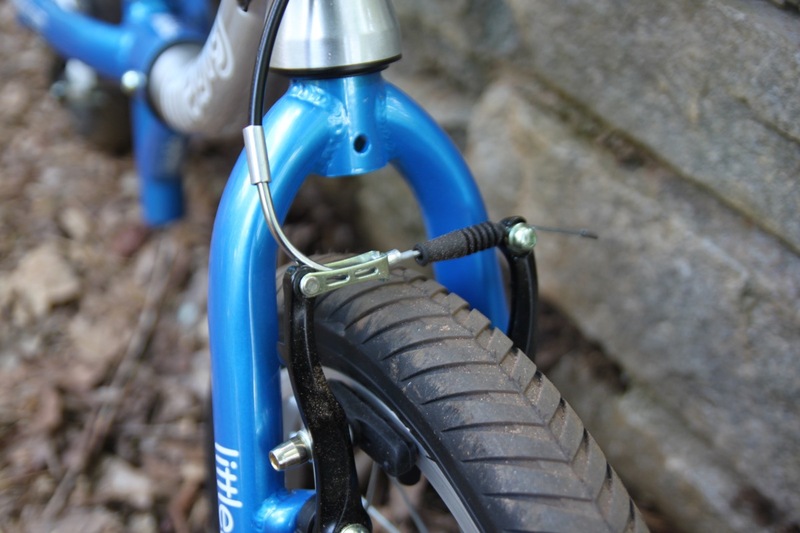 Most kids’ bikes tend to start out with either coaster (foot) brakes or a combo of a coaster brake and a single hand brake. Reed quickly learned to grab the brake levers to slow down. The short levers with minimal throw are easy for his small hands to grasp. I screwed up. After Reed was banned from his previous balance bike, I went to the local department store and bought the smallest pedal bike with training wheels I could find. As it turned out, the bike was way too big for a 3-year-old, plus it had training wheels. Wasn’t he supposed to be able to skip training wheels since he started on a balance bike? Not only that, this was the second bike I had to buy in just 18 months. Leah suggested we find a smaller bike in between the balance bike and the training wheel bike, but I refused to get a third in-between bike that I knew would be outgrown in less than a year. Once again, I shoulda just bought a Little Big bike in the first place. We started with the Little Big bike in balance mode on day one. I took Reed to a local park with a trail, and he had a blast. The bike was very familiar since he had ridden balance bikes before, though the concept of brakes was a bit foreign to him. After that first ride, Reed told me he wanted the pedals on the bike. Reed, like most young children (I imagine), loves opening packages and playing with new things, so I assumed he just wanted me to get out the pedals because they were new. I pushed back and said we would put them on later, but like the bad parent that I am, I eventually caved in to the whining and begrudgingly put the pedals on the bike. But the thing is, Reed was right — he was ready to pedal! After installing the drivetrain, we headed to the parking lot at a local church and… he just started pedaling. For about the first 30 minutes I had to hold onto his seat and give him a little push to get him started but once he was going, he had no trouble at all. The low center of gravity on the Little Big bike keeps him super stable, and the relatively wide tires make balance a cinch. Within just a couple weeks Reed was riding everywhere. Because the Little Big is so small, even in “big” mode, Reed is able to get his toes on the ground while seated. This is crucial because it lets him start and stop the bike by himself without assistance. We have the seatpost as low as it can go, which means there is plenty of room to move the seat higher as he grows. As a Dad, I’m probably more stoked about this bike than any of my own mountain bikes because I see how much joy it brings to my little guy which in turn, makes me really happy. I know, that’s a pretty mushy thing to say, so I’ll also add that I love how practical and yes, economical, the Little Big bike is as well. The roughly $265 USD price tag on the Little Big bike might cause some sticker shock at first, but really it’s a great price IMO. The first balance bike we bought cost about $100, and then I bought the department store-quality bike with training wheels for another $70. And yet, we still probably needed another bike that was in between the balance bike and department store bike. 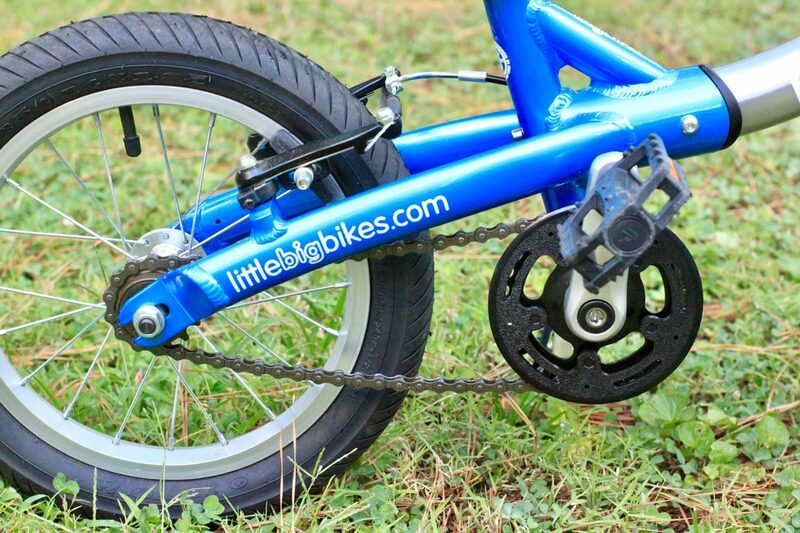 The Little Big bike is a high quality item from the start, and most kids can get 5 years of use out of it. 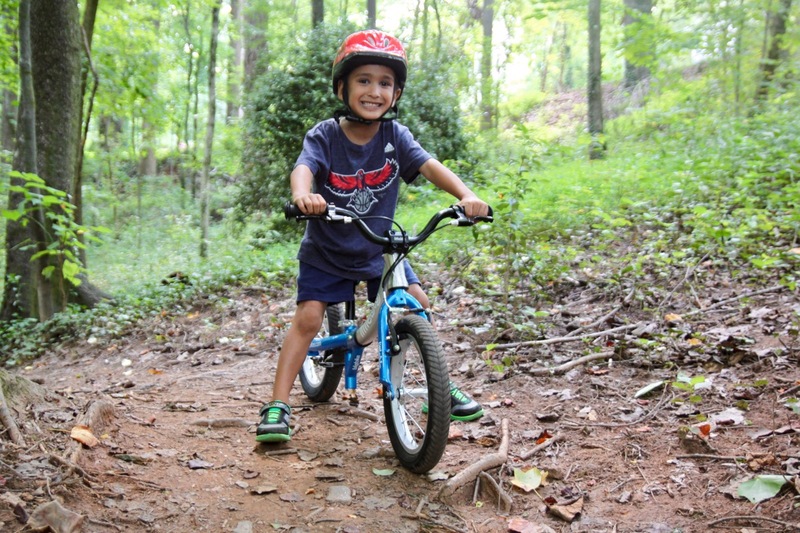 Buying a new bike every 2 years is not only expensive but it’s also wasteful, as low-quality kids’ bikes generally end up in the landfill after use. Knowing what I know now, I would absolutely buy the Little Big bike for my kids before they reach the age of two. The bike is incredibly high quality, it’s practical, and despite the somewhat high up-front cost, it’s a great investment in future happiness. 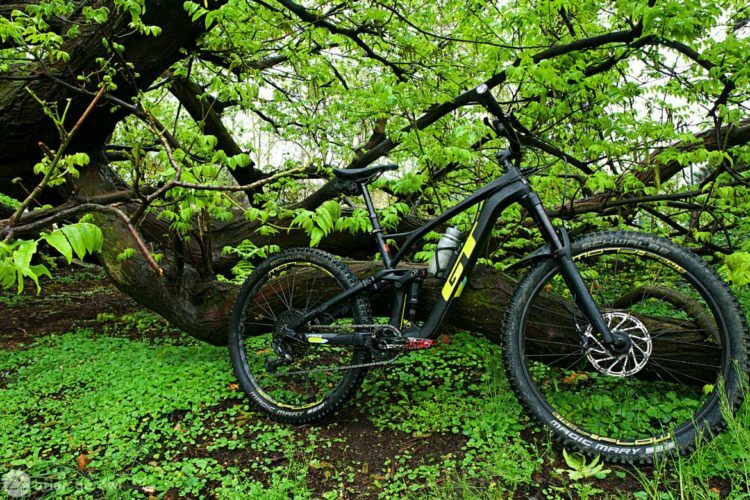 Thank to Little Big for providing this bike for review. Protip of the day: Just buy a cheap Walmart bike and take the cranks off. Boom. Push bike. Then reinstall them when the kiddos get bigger. Too simple and inexpensive for most I suppose. You would think that might be an option, but like I mentioned, it’s difficult to find pedal bikes that are small enough for 2-4 year olds in most department stores. 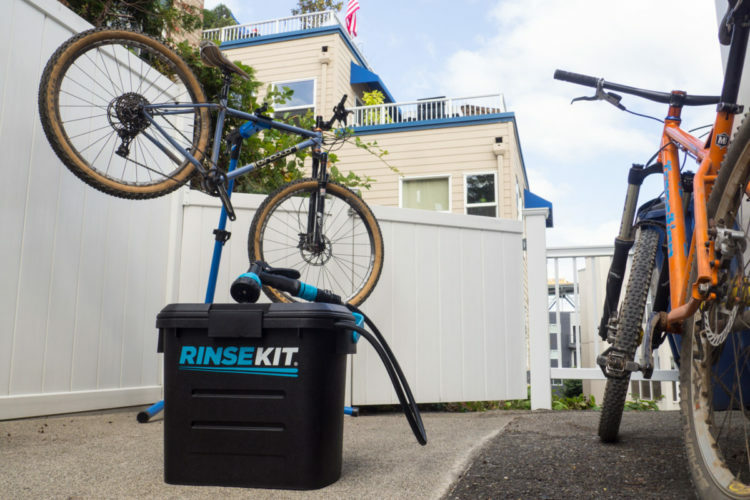 Not only that, because department store bikes are often low quality, the seemingly simple task of removing or reinstalling a crank can be difficult or even impossible if parts are welded. I feel like I’m too late – our daughter just turned 4. 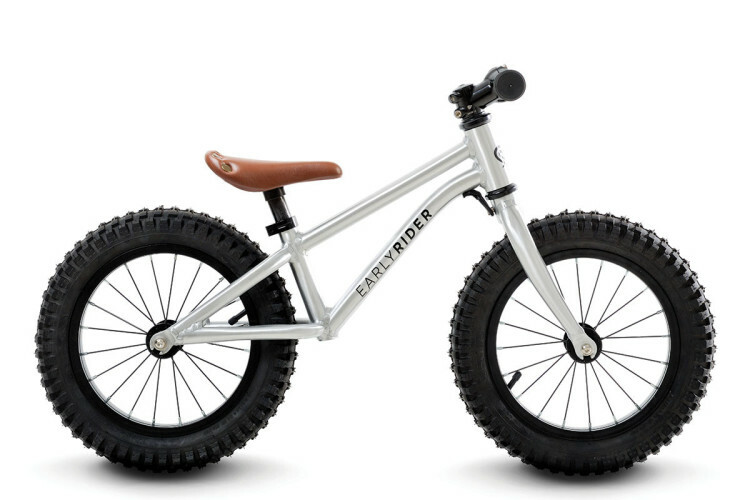 Been looking at balance bikes for this Christmas. Is this still a good option, given I’m a little late to the party? It’s never too late! A bike like this is probably your best choice, better than a simple balance bike (she’ll outgrow it too quickly) or a pedal bike with training wheels (not a good way to learn). This bike might be a little small, but just start it out at the bigger of the two balance bike sizes. I’ve found a smaller bike is easier to learn on because the kids don’t feel as top heavy, and they don’t struggle as much to get on/off the bike.